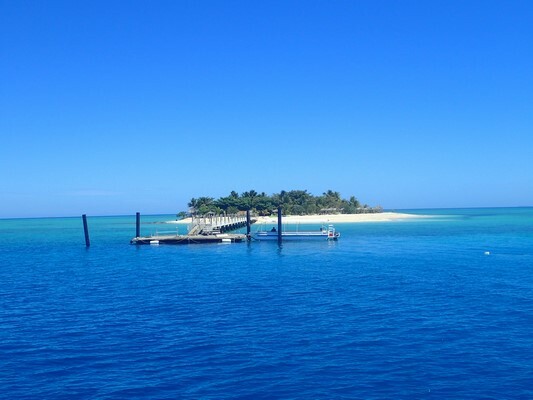 Blog: Fiji Happy in Momi Bay | My Fiji Prize Winners Return! There’s only one thing better than a holiday and that’s a holiday that’s absolutely free! My Fiji travellers, Cameron and Jen Paxon can certainly vouch for that, especially after returning from the brand new Fiji Marriott Resort Momi Bay! 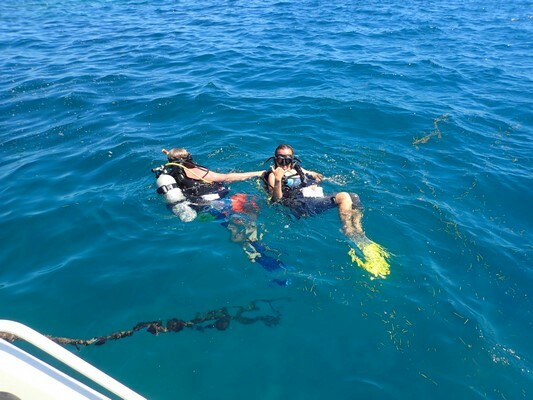 Cam and Jen travelled to Momi Bay on us! 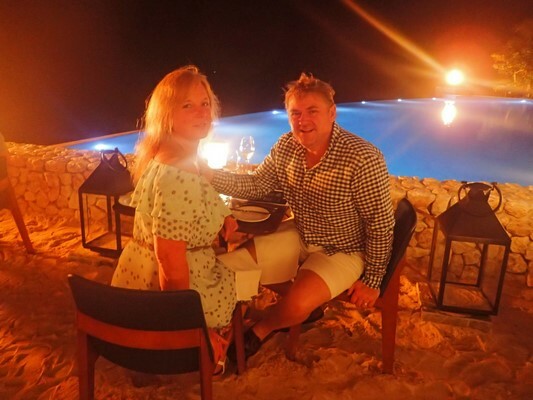 They were the lucky winners of the My Fiji competition with Traveller.com.au and scored a holiday valued at a whopping $6,000, including flights; FJ$1000 Wine, Dine & Spa Credit; massages; an exclusive My Fiji Island Experience and more! After returning from their holiday, refreshed and relaxed, they wrote in to tell us all about. Take a look at what they have to say below! BULA, from Cam and Jen! 7 nights in Fiji, what more could we want? Thank you My Fiji! Actually, when you stay at the new Fiji Marriott Resort Momi Bay, you realise there is indeed more fun to be had. This resort opened just 5-months ago. Already capacity is high, with almost 85% for the duration of our stay. There are a number of accommodation options, ranging from overwater bures to family-style accommodation, it really did seem to have something for everyone! The resort is built around a lagoon, with beautiful sandy beaches and crystal clear water. The architecture is fantastic: open air with very effective cooling found in our Ocean Front Bure. From the welcome arrival, complete with drums, refreshing cold towels and the best iced tea I have ever had, you appreciate Fijian charm. The resort is huge, however quick transport via a modern fleet of golf carts makes getting from A to B a breeze! We chose to walk and enjoy the lush gardens, ocean and lagoon views. The 3 restaurants are great, however Fish was our favourite with all tastes catered for. We used almost all of the pools. The adults-only with massive spa was our preferred option, although the family pool complete with swim up bar, we also utilised well! The gym was excellent—no waiting for cardio equipment which is always good. I completed my Padi open water dive certificate and the dive team (James and Holly, with Captain Paul) couldn’t have been more accommodation. This is a water sports haven! The Marriott are on a winner here. Even the small onsite convenience store has reasonable prices—something unheard of at most resorts. The staff are attentive unless a baby/child appears—then you are relegated! These beautiful people really love children! This resort will only get better and better as the gardens mature. So, to sum up…. the staff are wonderful and the facilities are first class. Fish is the pick of the dining—it’s a great menu with a strong focus on local fresh seafood. Each time we dined there it was excellent! Thanks again to all involved. Jen and I very much appreciate the experience! Sound good? 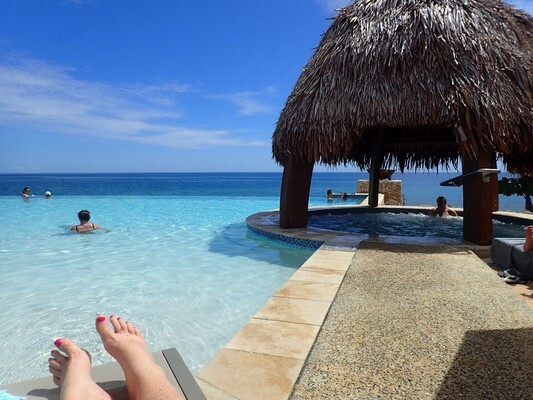 For more information about how you can get to Fiji Marriott Resort Momi Bay, click here or contact our Fiji Holiday Experts!